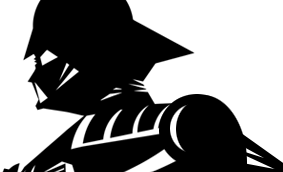 Battle Droids: The greedy Trade Federation has created an army that requires no food, no drink, no sleep. Millions of these high-tech battle droids amass into a virtually unstoppable armed force. Comments: When the Commtech Chip Episode I cards came out, not all countries wanted to get involved with the Commtech offering. 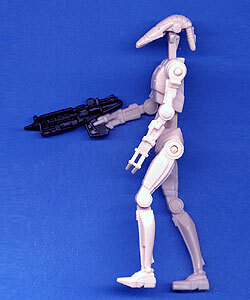 Some countries, primarly Asian, offered figures with an included bonus Battle Droid instead of the Commtech chip. This droid had limited articulation, and the blaster was molded onto its right hand. There are a total of 28 different figures in this set. The same figure was also included in the Theed Generator Complex playset, only with a more details paint job. Point of Interest: Like the single carded R2-D2, the bonus Battle Droid version was also carded initially with a flat bubble and later with the posed bubble.